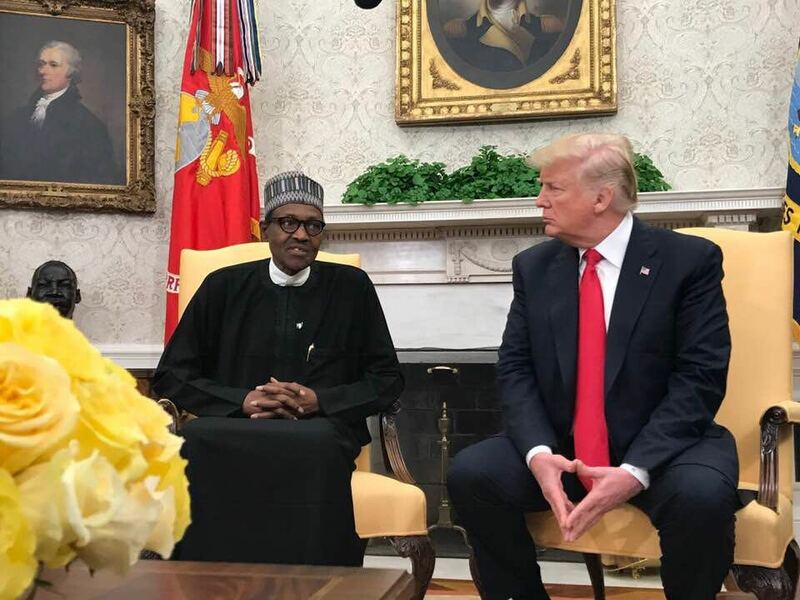 Aliyu Madaki, a member of the house of representatives, has asked US President Donald Trump not to bring his “divisive politics” into Nigeria. He said this on Tuesday in reaction to a comment Trump made when he recently hosted President Muhammadu Buhari last week. Trump had told Buhari, during their meeting, that America would not accept the killing of Christians in Nigeria. “We have had very serious problems with Christians who are being murdered in Nigeria, we are going to be working on that problem very, very hard because we cannot allow that to happen,” he had said. Responding, Buhari said his administration was working hard to address the widespread killings. The statement had generated criticism from various quarters, including the Muslim Rights Concerned (MURIC) who urged Nigerian Christians to “not allow themselves to be deceived by Trump”. Raising a matter of privilege on the floor of the house on Tuesday, Madaki said he expected Buhari to “correct” the American leader over the comment. “The day Trump said Christians are being killed in Nigeria, I expected Buhari to correct him that others are also being killed,” he said.